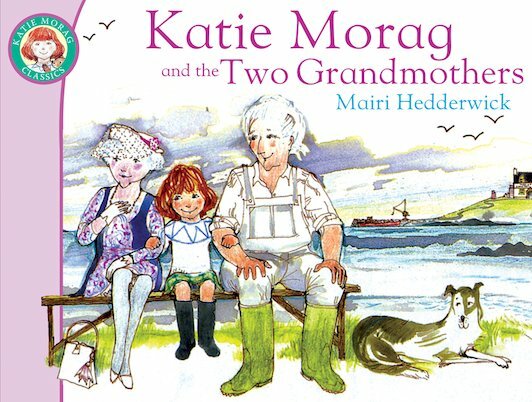 Katie Morag’s two grandmothers are like chalk and cheese. They don’t always get on. So when lovely Grannie Mainland visits for the fair, Katie has a challenge on her hands. Tough Grannie Island thinks it’s daft how all the men follow Grannie Mainland around. But when Grannie Island’s prize sheep gets stuck in Boggy Loch on Show Day, can Grannie Mainland’s curlers and perfumes save the day? AD870L Lexiles are the global standard in reading assessment. They are unique as they are able to measure a child and a book on the same scale – ensuring the right book gets to the right child at the right time. great! this is a ausome book for 6-8 we did his as a subject at school and i loved it! i think this book is awsome for children that are a bit good at reading but this is a good story for people to read we have this in are school and its awsome.